So, I saw "Django Unchained" for the third time this evening with the family, and saw the trailer for "This Is The End" for the second time. I really, really cannot wait for this upcoming Rogen/Franco collaboration (and Rogen's directorial debut), with most of the company in tow. Faces from the Appatow camp who won't be seen in this film (or perhaps, not seen for very long) include Jason Segel, David Krumholtz, and (with a jokingly "good riddance" from Danny McBride) Michael Cera. Faces who we will see? Franco and Rogen, of course, Jonah Hill,Craig Robinson, Danny McBride, Jay Baruchel, Paul Rudd, Martin Starr, and the less recognizable Evan Goldberg. 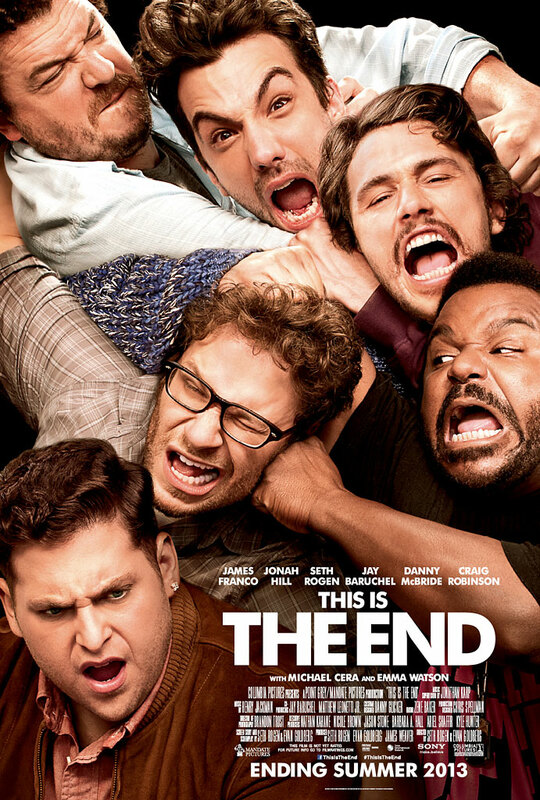 Methinks this will be the ultimate bromance film, and hella hard to top. Box Office Smash--here they come.